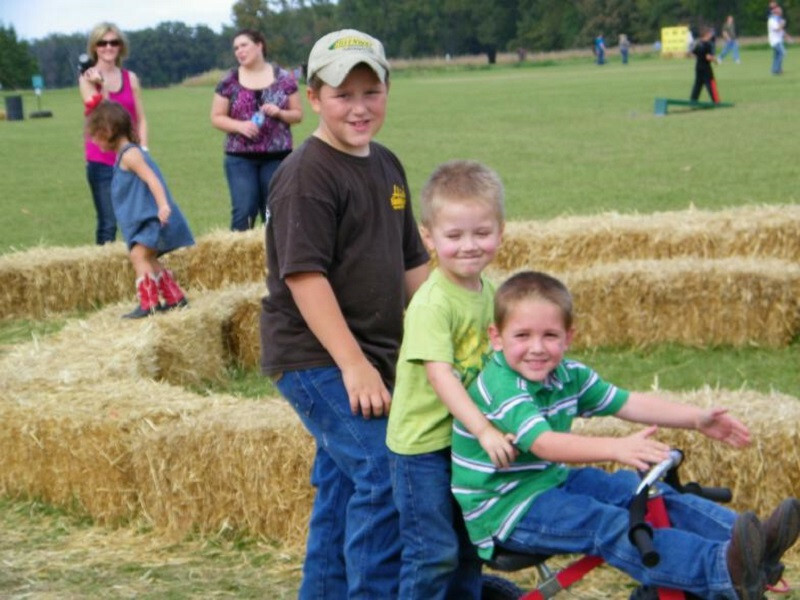 Pumpkin Patch in Scott — Scott Pumpkin Patch includes hayrides, pig races, barnyard nursery, playground, farmer’s market, petting zoo, maze, concessions, pony rides, cart rides and the pre-picked pumpkin patch. Hours open to the public are 8 a.m.-6 p.m. Fri.-Sat. and noon-6 p.m. Sun. Oct. 1-31. Admission is $7 per person, and kids ages 2 and younger are FREE. For info: 920-2901 or ScottPumpkinPatch.com. BoBrook Farms in Roland — Bring the whole family to BoBrook for a hayride, play in the cornpit, go through the hay maze and play with the animals. You can also pick your own pumpkin. Hours are 9 a.m.-5 p.m. Mon.-Fri., 9 a.m.-6 p.m. Sat. and noon-6 p.m. Sun. Sept. 24-Oct. 31. Admission is $5, and the maze is an additional $3. Children ages 2 and younger are FREE. For info: BoBrookFarms.com or 519-5666. Schaefers’ & Collins’ Pumpkin Patch & Farm in Mayflower — Take a hayride to the pumpkin patch, where you can pick out your own pumpkin. Then visit the barnyard animals, navigate tunnels, race in sacks and climb over hay bales. Cost is $5 per person. Concessions available. Patch open 9-6 Mon.-Sat. and noon-6 p.m. Sun. Sept. 24-Oct. 31. Schaefers’ Corn Maze in Mayflower — Schaefers’ includes two corn mazes: one for younger children and one for older children and adults. Hayrides are also available, along with hay bales, tractor tires, a corn pile and more. Schaefers’ Corn Maze will run from Sept. 24-Oct. 31. Hours are noon-8 p.m. Thurs., noon-11 p.m. Fri., 10 a.m.-midnight Sat. and 1-8 p.m. Sun. Admission is $7 for adults, $5 for children and ages 2 and younger are FREE. For info: SchaefersCornMaze.com or 269-7903. Mary’s Place in Bryant — At Mary’s Place, kids will enjoy train rides, a maze, a treehouse, bounce houses, animals and a pumpkin patch. Hours are 9 a.m.-5 p.m. Mon.-Sat. and 1-5 p.m. Sun. Sept. 22-Nov. 12. Cost is $5 per person without a pumpkin, and $7.50 per person including a pumpkin. For info: MarysPlaceinBryant.com or 847-3900. Garner Homestead Family Farm in Lonsdale — For $7 you can enjoy a full day on the farm, including a hayride, live barnyard animal show, woodland nature trail, animal petting area, corn field of trails, playground, picnic areas, a trip to the pumpkin patch and your choice of a bonus activity. Hours are 9 a.m.-3:30 p.m. Tues.-Sat. Sept. 20-Nov. 5. Children ages 2 and younger are FREE. For info: 463-0510 or GarnerHomesteadFamilyFarm.com. Johnston Pumpkin Farm in Greenbrier — Come enjoy hayrides, farm animals, lots of pumpkins, a play area, a country store and many photo opportunities. Hours are 9 a.m.-7 p.m. Mon.-Sat. and 11 a.m.-7 p.m. Sun. Sept. 24-Oct. 31. There will also be two special events: Scarecrow Contest on Oct. 1 and Pumpkin Fest on Oct. 8. Admission to the farm is FREE, but there are additional charges for some activities. For info: 679-5078. 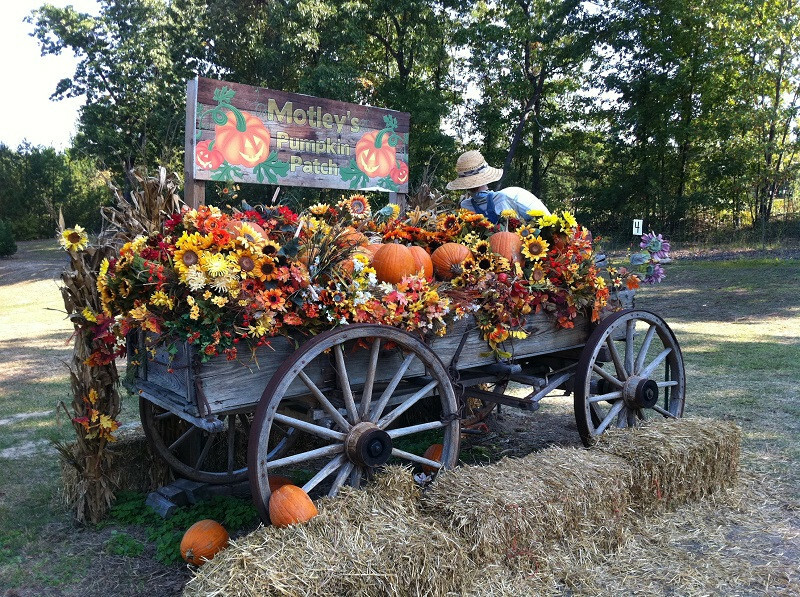 Motley’s Pumpkin Patch in Little Rock — A day at Motley’s includes hayrides, a farm zoo, hay play, picking pumpkins and pig races! Everything is included with admission, which is $6 per person, and children ages 3 and younger are FREE. Hours open to the public are 9 a.m.-6 p.m. Sat.-Sun. Oct. 1-31. For info: MotleysPumpkinPatch.com or 888-1129. $5 for kids and $2 for adults, and kids get to pick their own pumpkins. For info: 821-7275. Moms scrambling for a way to get kids out into the crisp autumn air, rejoice! 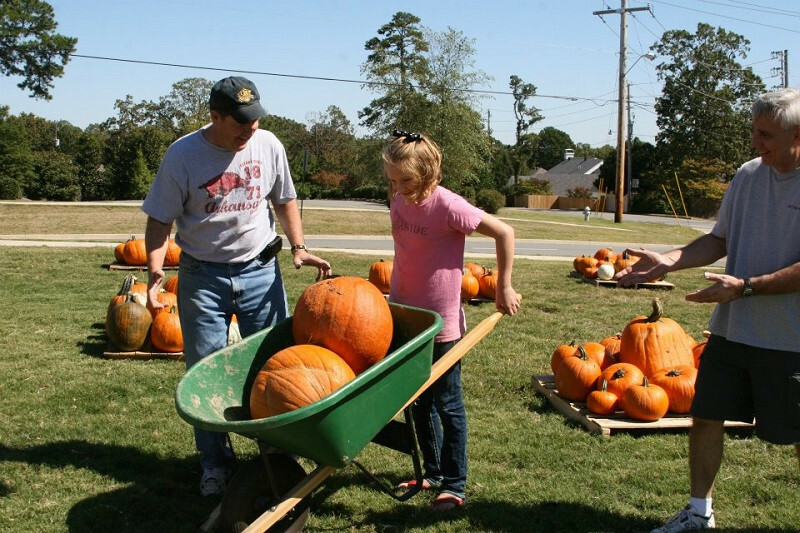 Little Rock Family has put together a list of 17 pumpkin patches for the whole gang to enjoy. It’s a tradition to take home a pumpkin fresh from the field and carve it up into a jack-o’-lantern, but the fun doesn’t stop there. These mostly family-run businesses offer train rides, corn and hay mazes as well as petting zoos and more. Note: We advise that you call ahead before your pumpkin patch visit; for many farms, opening dates and hours are dependent on the weather. 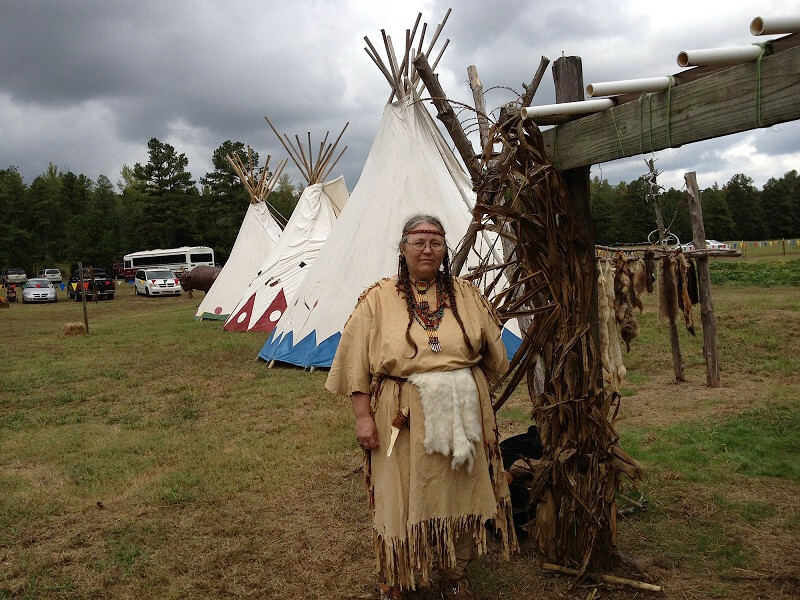 Learn about early settlers and Native Americans at Arkansas Frontier, a living history farm and pumpkin patch. 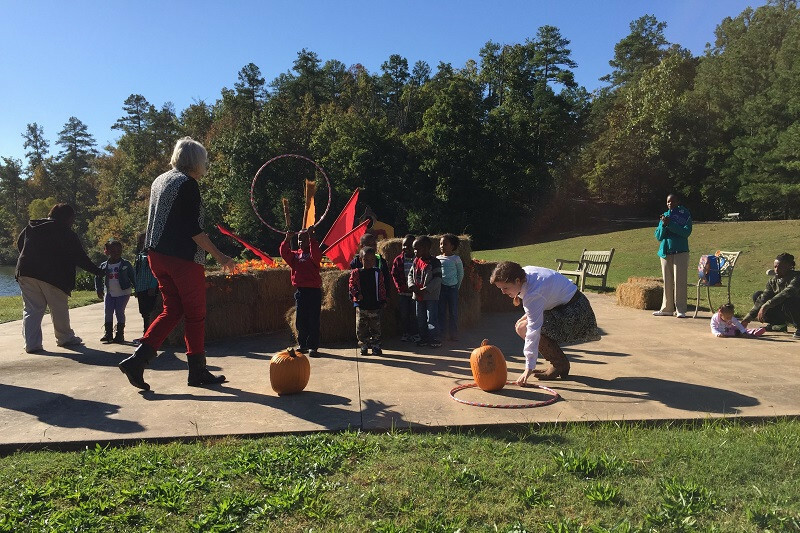 Not only can your family pluck a pumpkin from the U-Pick Pumpkin Patch, they can also learn about the lives of early settlers and Native Americans on the living history farm. Tour a replica of a pioneer homestead, learn a lesson in the schoolhouse, see a covered wagon and meet the animals who live on the farm—pigs, miniature horses, sheep, rabbits and a llama. You can also participate in rubber duck races, sift for gem stones in the old-fashioned mining sluice, and dig for dinosaur eggs. In the Enchanted Forest, visitors stroll through a nature trail of storybook characters like Hansel and Gretel, Little Red Riding Hood and The Three Little Pigs. 1625 Wesley Chapel Road, Quitman. Admission ranges from $9-$11 per person, pricing details are available here; pumpkins purchased separately. Oct. 1-31: Open 9 a.m.-5 p.m. Saturdays and available for groups by reservation Monday through Friday from 9 a.m.-2 p.m. For info: 501-589-3122, ArkansasFrontier.com. Can’t make it all the way to a farm? You can still get the pumpkin patch experience at this convenient location in west Little Rock. Pick your perfect pumpkin and take pictures—and if you stop by on Oct. 14 from 4-7 p.m., take part in the free festivities at the annual Hog on the Hill event. A festival on the lawn will include children's games, bouncy houses, food trucks and more. 1700 Napa Valley Drive, Little Rock. Free admission, pumpkins range from $1-$20. Oct. 5-31: 11 a.m.-5 p.m. Monday-Friday and noon-5 p.m. Saturday and Sunday. For info: 501-225-9231, Asbury-LR.org. 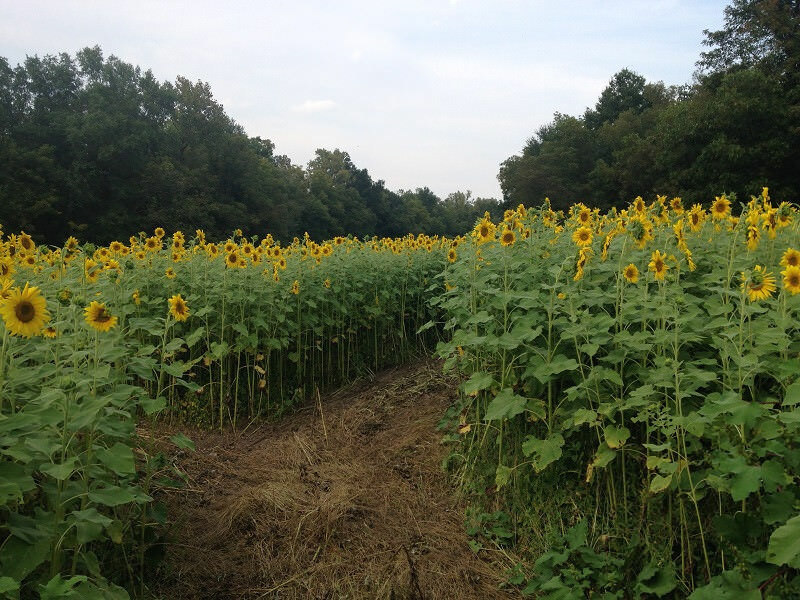 Wander the charming sunflower maze at BoBrook Farms. This pumpkin patch is known for its proximity to Pinnacle Mountain. A charming sunflower maze and hayrides accentuate the fall spirit, and farm animals and a hay maze are also available. Plus, kids can climb on a hay mountain formed from 200-300 bales of hay and jump into the corn pit of 5,000 pounds of corn. To find a pumpkin, kids can look to the 12-row pumpkin patch, where some of the pumpkins are even left on the vine for families to cut themselves. Concessions and crafts are also available for purchase. 3810 Combee Lane, Roland. $7 admission includes all attractions, children under 2 are free; pumpkins sold separately and range from $0.50-$12. Sept. 29-Oct. 28: 9 a.m.-5 p.m. Monday-Friday, 9 a.m.-6 p.m. Saturday & Sunday For info: 501-519-5666, BoBrookFarms.com. There are plenty of pumpkins—and photo opps—in the pumpkin patch at BoBrook Farms. This family-owned farm, in business for almost 50 years, is a Clarksville institution, allowing families to choose from many pick-your-own experiences ending in late fall with pumpkins. Children can walk and find photo opportunities along a trail lined with fun characters, decorations and a rope maze. 1081 Highway 818, Clarksville. Entry to the farm free; pumpkin prices vary by weight; pumpkin trail $2.50 per person. Sept. 29-Oct. 31. Monday-Saturday 9 a.m.- 6 p.m. Call ahead before visiting: 479-754-3707, CoxBerryFarm.com. This summer day camp destination transforms into an autumn wonderland. The farm is complete with a pumpkin patch, hayrides, a John Deere train, pond fishing, farm animals for petting, zip-lining, slide mountain, hay tunnels and a climbing wall in October. 18448 Highway 67, Malvern. Admission is $5, children 2 and under get in free. Admission includes all attractions except the zipline; pumpkins sold separately. Sept. 29-Nov. 3: 9 a.m.-5 p.m. Saturdays; available by reservation Monday-Friday for school field trips ($7 per student). For info: 501-337-4171, FamilyFarm.org. Wildwood Park for the Arts welcomes field trips during the week for its Hay Days fall festival. 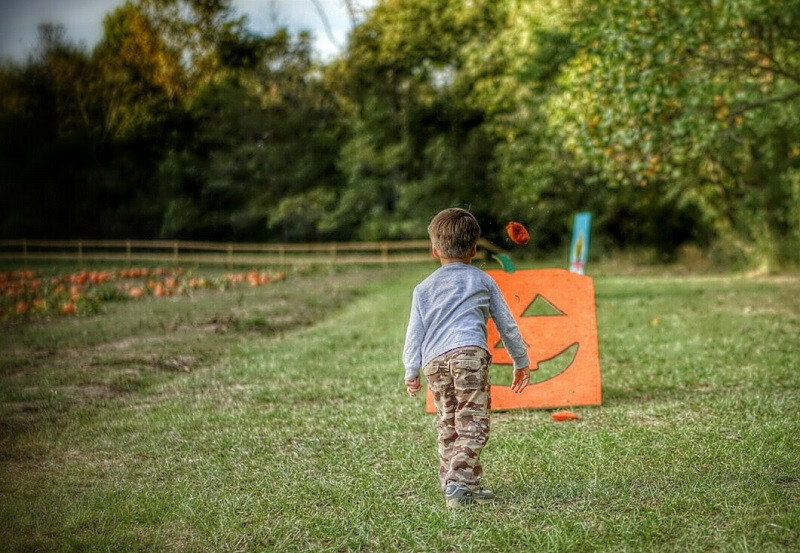 Mosey through the seven-acre corn maze with the kiddos before visiting the pumpkin patch. The maze features a new design each year and is accompanied by a barnyard brimming with animals. Pony rides and hayrides are also available. 184 Lasiter Road, Lonoke (35 miles northeast of Little Rock). Admission: $8, includes all attractions, children under 5 free with paying adult; pumpkins and food sold separately. Sept. 29-Oct. 27: 10 a.m.-6 p.m. Saturdays, 1-6 p.m. Sundays; available by reservation Monday-Friday for school field trips. For info: (501) 941-2703, HicksFamilyFarms.com. 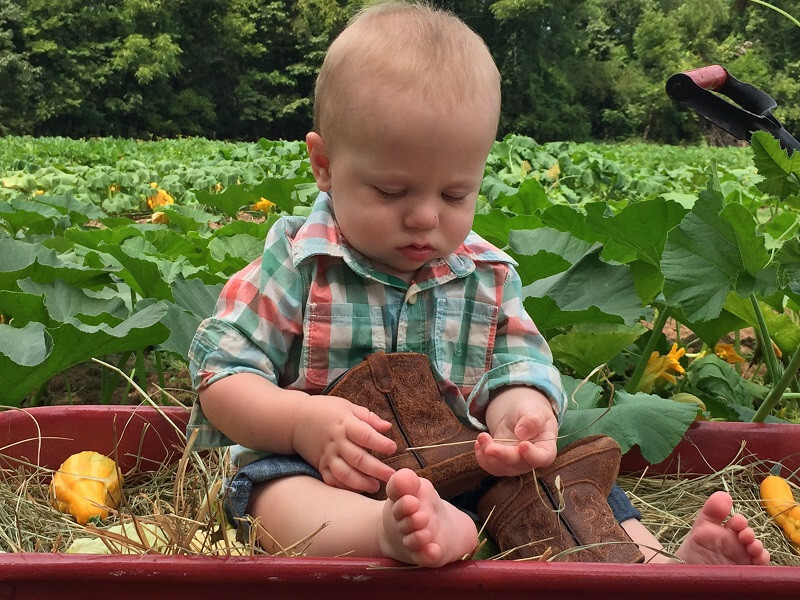 Since 1999, this pumpkin patch has been bringing smiles to little ones. Kids can wind their way through a hay maze made of round bales, take a hayride in a tractor-pulled covered wagon, gaze at an aquarium filled with fish, and feed rabbits, goats and chickens in a petting zoo. Little ones can also hop on a horse for a quick, hand-led horseback ride or blow off steam on basketball and volleyball courts. A mobile pumpkin patch (complete with Frankenstein-esque monster) is available to visit to schools and churches, and brings along pumpkins, chicken and rabbits. 966 McCoy off of I-40 East, Scott. $5, includes all activities and a free pumpkin for each child under 12. Oct. 6-Nov. 4: Open to the public 1-5 p.m. Saturdays and Sundays; field trips and groups welcome Monday-Friday by reservation only. For info: 501-920-6537. A train takes riders through Sherwood Forest, with a stop at a Western town setting offering plenty of picture opportunities. Kids can also can play in a wooden maze, a treehouse, playground, a bounce house and a hay mountain with a tunnel. 3705 Highway 5 N., Bryant. $9 includes all attractions and pick-your-own pumpkin; $6 includes all attractions and no pumpkin. Sept. 22-Nov. 2: 9 a.m.-5 p.m. Monday-Saturday, 1-4 p.m. Sundays. For info: 501-847-3900, MarysPlaceInBryant.com. The fun at Hicks Family Farm includes a corn maze, barnyard animals and more. 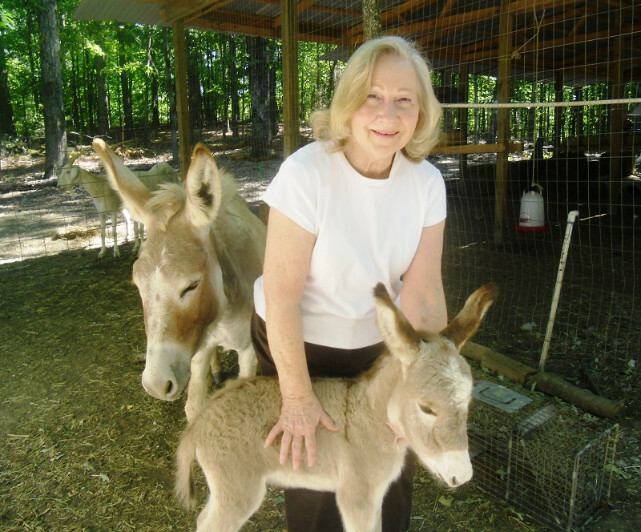 This Little Rock agritourism farm has been offering family fun each fall since 1982. 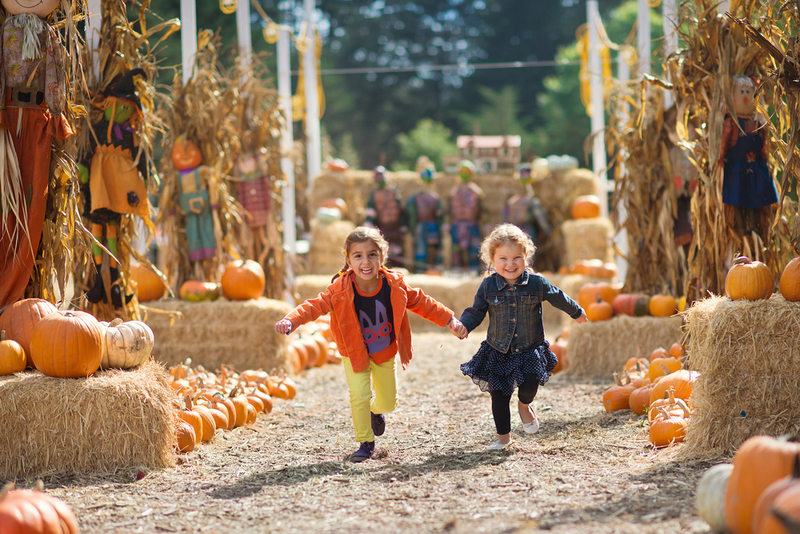 A full day of entertainment includes a pick-your-own pumpkin patch, country store, tractor-drawn wagon rides, and a petting zoo full of goats, chickens and pigs. Kids can also climb on a hay bale mountain and take a slide back down to the ground. Or, pick an oinker to compete in the pig races. Concessions—hello, caramel apples!—are also available. And don’t forget to pick up homemade sweets in the Fudge Kitchen. 13724 Sandy Ann Drive, Little Rock. $8.95 basic admission, $11.95 do-it-all admission, children under 3 and seniors ages 60 and up free. Sept. 29-Oct. 30: 10 a.m.-6 p.m. Saturdays & Sundays; weekdays Oct. 2-26 available by reservation for school field trips ($7 per student). For info: 501-888-1129, MotleysPumpkinPatch.com. If you’re in the northern part of the state during the harvest months, make a stop at this popular attraction. During its Fall Festival, families can go on an hour-long hayride tour that stops by the petting zoo (featuring an adorable miniature donkey), Mulch Mountain, 1.5-acre corn maze, bounce house, old-fashioned games and the pumpkin patch. A country store features homemade jams and jellies, apple cider, local honey and more. 693 County Road 57, Mountain Home. $6.50 includes all Fall Festival attractions; pony rides are an additional $2; pumpkins sold separately. Sept. 29-Nov. 11: noon-5 p.m. Fridays and 10 a.m.-5 p.m. Saturdays & Sundays; available to groups, birthday parties and field trips by reservation Wednesday-Friday. For info: 870-425-7028, MountainHomeBerryFarm.com. Pumpkins take over 60 acres of Peebles Farm, with 10 acres set aside for visitors to pick their own. Plus, visitors can hop on horse and wagon rides, explore the you-pick cotton field, fire up the corn cannon, snap photos in the three-acre sunflower field, visit the barnyard and more. Adventurous tykes can stumble through a 20-acre corn maze; on Saturday evenings after dark the maze is haunted. 100 Woodruff 249, Augusta. Located on Highway 64 between Augusta and McCrory. $8, includes most attractions, such as barnyard, corn maze, cotton patch and admission to pumpkin patch; children ages 2 and under free; hay wagon rides $3; train rides $1; pumpkins sold separately ($2-$60). Sept. 22-Oct. 31: 2-6 p.m. Monday-Thursday, 2-10 p.m. Fridays, 9 a.m.-10 p.m. Fridays and noon-6 p.m. Sundays; available for field trips by reservation. For info: 870-919-6162, PeeblesFarm.com. When in Piggott, enjoy a pig scramble, corn mazes, hayrides, pony rides. The pig scrambles, events where kids try to catch a slippery pig, and zipline, are reserved for weekends. Everyday attractions include farm animals, an interactive Kids’ Barn, the Pumpkin Hollow Express barrel train and a pond levee slide. Visit the Friendly Forest and two separate corn mazes with different difficulty levels are also available. Bring a flashlight and brave the mazes on Fright Nights, when other hair-raising attractions are also open, such as the Frightmare Farmhouse, Bubba’s Butcher Barn and Zombie Paintball Patrol. 671 County Road 336, Piggott. $10 for standard package, $15 for kids' armbands (Saturday and Sunday only). Sept. 15-Oct. 31: 9 a.m.-6 p.m. Monday-Saturday, 1-6 p.m. Sunday. Corn Maze open additional evening hours on Fright Nights; see calendar for details. For info: 870-598-3568, PumpkinHollow.com. The corn maze at Pumpkin Hollow. A short drive from Little Rock, Benton or Hot Springs reveals a pumpkin patch operated by three brothers on a 56-acre farm. Offerings include homegrown pumpkins in the 3-acre, a pick-your-own patch; farm animal visits with chickens, goats and rabbits; hayrides and thrills on the tractor-pulled barrel ride; a hay fort; tricycle races, face painting, potato sack races and lots of photo opportunities. Treats at a small concession stand will also be available. 12223 Highway 9, Benton. $7, children under 2 free; pumpkin prices vary. Sept. 27-Oct. 31: 9 a.m.-6 p.m. Friday-Sunday; available by reservation Monday-Friday for field trips. For info: 501-722-8545, Roseberry-Farms.com. 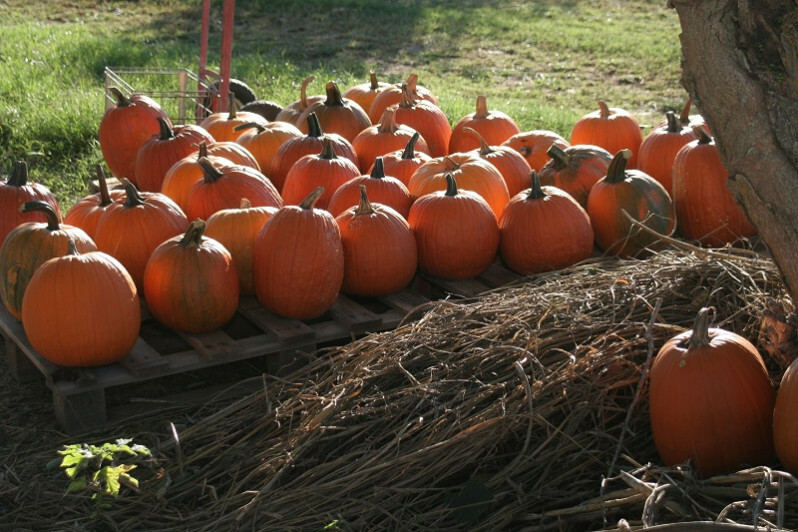 Pick a homegrown pumpkin in the patch at Roseberry Farms. A hayride takes kids to the patch to pick out a pumpkin. Then they can meet the barnyard animals and tumble around a play area with hay tunnels, cut-outs for pictures, a large sandbox, swings and extras. On weekends, delight in train and pony rides, bounce houses and face painting. Friday and Saturday nights, families can go on a spooky haunted nighttime hayride. Pumpkin patch: 864 Lollie Road, Mayflower. $6 (cash or check only) includes play area, barnyard animals, hayride and a pumpkin; other attractions and concessions available for additional fees. Pumpkin patch open Sept. 29-Oct. 31: 9 a.m.-7 p.m. Monday-Saturday, noon-7 p.m. Sunday. For info: 501-470-3127, SchaefersPumpkinPatch.com. Next stop is the corn maze next door (a separate business) that sports a different design each year. This year, the theme is dinosaurs! Take a haunted hay ride on Oct. 19, 20, 26 and 27. Corn maze: regular admission $8; seniors ages 60 and up $7; children ages 3-12 $6; children under 3 free; scenic hay ride and corn maze express $3 each. 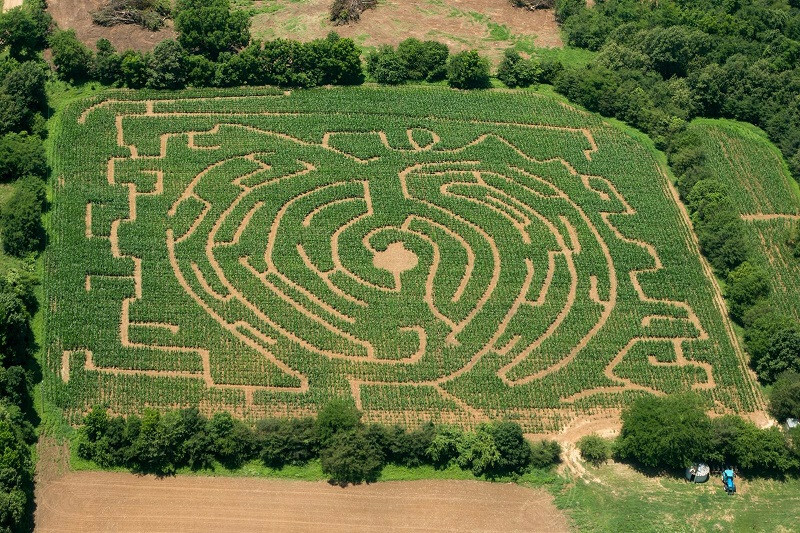 The maze will be open Sept. 28-Oct. 28; check website for updates. Noon-10:30 p.m. Friday, 10 a.m.-11 p.m. Sat., 1-7 p.m. Sun. For info: 501-269-7903, CornMazeAtLollie.com. Play games at Roseberry Farms. Explore a corn maze and a pumpkin patch at this farm in Harrison. Pumpkin prices vary based on weight. Stop at several photo opportunities along the way. Pick up winter squash, decorative gourds and homemade jams and jelly while you're there. 7217 Fork Creek Road, Harrison. $3 admission, pumpkin prices vary. Oct. 6-28: 10 a.m.-4 p.m. Saturdays, 1-4 p.m. Sundays. For info: 870-741-9607, Facebook. 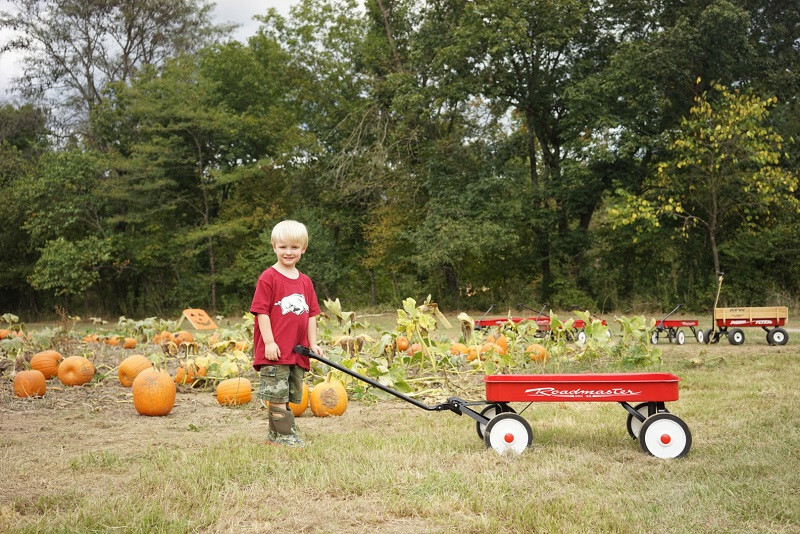 Schools, churches, daycares and families can summon the fun of the pumpkin patch to them through the Arkansas Portable Pumpkin Patch, which is based outside Conway. On-farm pick your-own pumpkins are available as well, for kids who really enjoy trudging through the patch. Call for reservations: 9 a.m.-5 p.m. Monday-Saturday. For info: 501-703-8147. Now in its 19th year, the Pumpkin Patch at First United Methodist Church opens Oct. 1, when thousands of pounds of pumpkins arrive and are unloaded by dozens of church volunteers. The opening event begins at 5 p.m. in front of the church and proceeds from the pumpkin patch support the youth ministry at the church. Oct. 1-31: 10 a.m.-dark Monday-Saturday, noon-dark Sundays. For info: 501-835-2201, Facebook.